Robert Dewey Ramsey, Jr., 94, of Hixson, Tennessee, passed away on January 17, 2019, at Memorial Hospital-Hixson. A child of the Great Depression, Mr. Ramsey arrived on Dec. 14, 1924, in Putnam County, Tn., the second of eight children born to Robert “Dewey” Ramsey, a carpenter, and Byrnie Phillips Ramsey, a school teacher who became a full time homemaker. 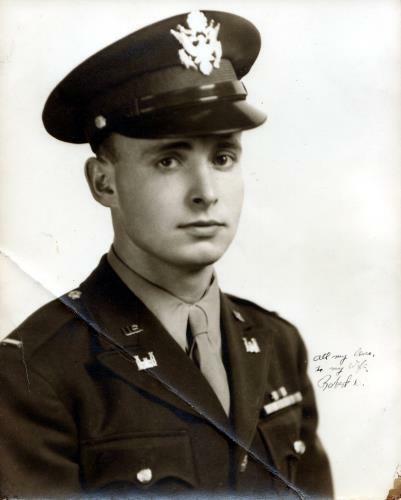 A member of “The Greatest Generation,” he served 39 months during World War II in the Army Air Corps and Army Corp of Engineers, including graduating from Engineer Officers Candidate School (OCS). Mr. Ramsey continued his military service in the Tennessee National Guard and the Army Reserves. He retired a Major, AUS (Army of the United States). He attended Tennessee Technological University (TTU), graduating in 1949 with a B.S.C.E. 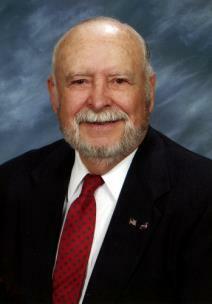 He taught Civil Engineering at TTU from 1949-1951. Mr. Ramsey worked nine years as Chief Structural and Civil Engineer, Corps of Engineers, at Arnold Engineering Development Center in Tullahoma, Tn., before joining NASA in 1960 at Marshall Space Flight Center in Huntsville, Al. As Facilities Engineering Manager and Chief Facilities Engineering Division Manager at Marshall Space Flight Center in Huntsville, Al., Mr. Ramsey turned his focus to helping achieve the United States’ dream of landing a man on the moon and returning him safely within a decade deadline set by President John F. Kennedy. During his 13-year career at NASA, Mr. Ramsey worked on the Saturn, Apollo, and Space Shuttle facilities. He helped put a man on the moon as Project Manager with oversight for the F1C Rocket Test Stand. This rocket propelled the Apollo space craft on its historic flight to the moon. He studied “Liquid Hyrdrogen Production” under Dr. James McCall, personal assistant to legendary rocket scientist Dr. Werner von Braun, and was assigned responsibility for the production and storage of the country’s adequate liquid hydrogen supply to fuel the rockets. He oversaw and built two more test production facilitator stands where the massive rockets were rigorously and routinely tested. The surrounding community immediately knew NASA’s rocket testing was occurring when the familiar loud roaring spread through the air, buildings shook, and the windows rattled, (something more common than the Sequoyah Test Sirens in the Chattanooga community). After leaving NASA, Mr. Ramsey moved to Atlanta for four years where he was Engineer Manager for Peachtree Corners in Gwinnett County and worked with consultants tasked with designing and developing the Atlanta Rapid Transit System (MARTA). From Atlanta, Mr. Ramsey moved back to his beloved Tennessee, settling in Chattanooga and resuming another love of his life, teaching. He completed his professional career at Chattanooga State Technology Community College as an assistant professor of Civil Engineering Technology from 1977 until his final retirement in 1985. He and his late wife were members of Hixson United Methodist Church for over 40 years, serving on many church boards, regularly attending services and Sunday School in the Sammy Gooden Sunday School Class. They traveled with the “XYZ’s” (Xtra Years of Zest) group as their health allowed. Mr. Ramsey achieved many honors and participated in professional associations including: Professional Engineer; Life Member National Society of Professional Engineers; Fellow and Life Member, American Society of Civil Engineers. He was preceded in death by his late wife, Bobbie M. Manning Ramsey; his parents, Dewey and Byrnie Ramsey; his sister, Sarah Martha Ramsey Eldridge; his brother, Glenn Harold Ramsey; and several brothers-in-law and sisters-in-law. He is survived by children and spouses, Robert “Bob” (Sandra) Ramsey, James “Jim” (Vickie) Ramsey, Nancy (Brian) Robertson, Sarah (Jimi) Townsend, Ellen Ramsey, and Margaret Ramsey; 12 grandchildren; 12 great-grandchildren (with two more arriving later this year); his late wife’s youngest sister, Peggy Fowler; his siblings, Juanita Bilyeu, Albert Ramsey, John Ramsey, Frank Ramsey, and Mary Bennett; and their spouses; and many nieces and nephews. In lieu of flowers, donations may be made in Mr. Ramsey’s memory to Hixson United Methodist Church, 5301 Old Hixson Pike, Hixson, Tn. 37343. Visitation with be Tuesday, Jan. 22, from 5-7 p.m. at Chattanooga Funeral Home, North Chapel. A funeral service will be held Wednesday, Jan. 23, 2019 at 10 a.m. at Hixson United Methodist Church with the Reverend Reed Shell and the Reverend Drew McCallie officiating. Pallbearers will be his grandsons and grandsons-in-law. Honorary pallbearers will be the Sammy Gooden Sunday School Class. A private graveside ceremony will follow at the Phillips Cemetery in Putnam County. Arrangements are held by the North Chapel of the Chattanooga Funeral Home, Crematory and Florist, 5401 Highway 153, Hixson, Tn. 37343. Please share your thoughts and memories at www.chattanooganorthchapel.com.